It’s not difficult to create the impression of movement with an image. This is a great little process to add movement to comic book designs, logos, and even banners. 1. 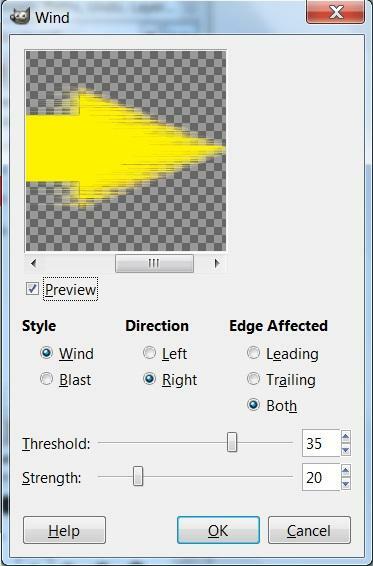 Open up the image you want to add the movement effect too in GIMP. This project uses a simple yellow right arrow. Make sure the image is on a transparent layer. 2. Create a new layer for the background. Add any color you like to the background. This project uses a red background. 3. 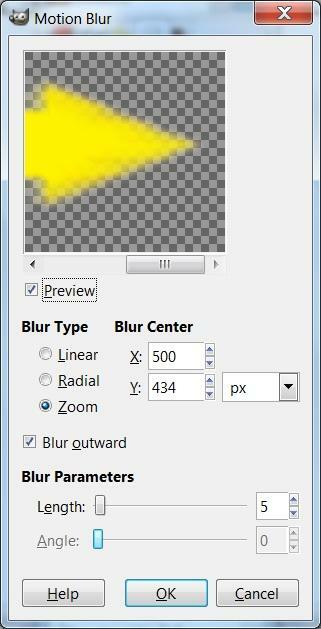 Make sure that the image layer is highlighted in the Layers window. 4. 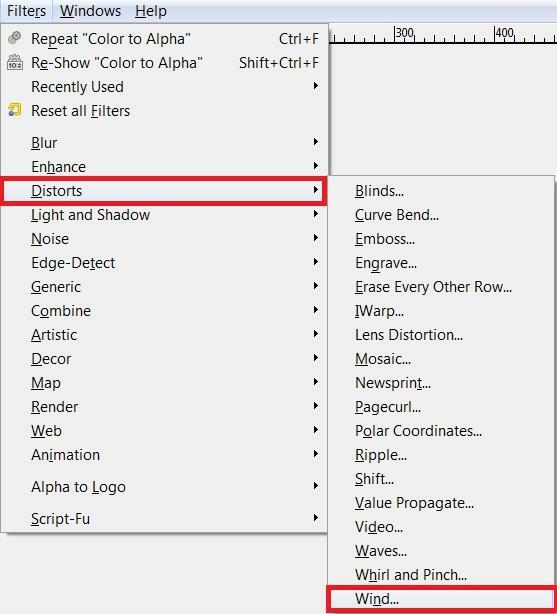 Select the “Filters” tab in the menu, and hover on “Distort” to open a sub menu. Click on the “Wind” filter. A new window will open up. Choose settings you prefer for the filter. This project uses a Blast style from the right that creates both a leading and trailing edge to the image. The strength of the blast is set relatively low, around 20. Press “OK”. 5. 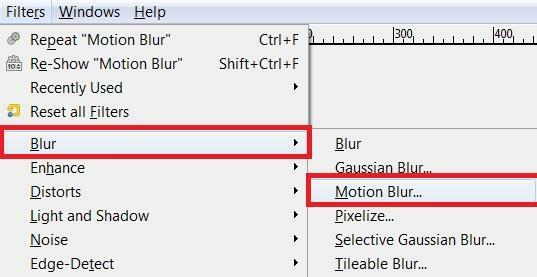 Select the “Filters” tab again, hover on “Blur”, and then click on the “Motion Blur” filter. A new window will open up. This project uses a linear blur, with a length of around 20-25. Press “OK”. 6. Create a new transparent layer between the image and the background. Add a blob of dark color to one side of this layer. Repeat the wind, and motion blur filters on this layer too. Increase the strength of the filters on this layer to create and even stronger indication of movement.